Where to next for computers? The modern computer began as a large, heavy chunk of grey hardware that had to be plugged into a power point. It then evolved into a rather compact ‘slice’ that you could fold in half and insert neatly into your backpack or carry case. But now, the mobile desktop is reaching new heights and the line between mobile phone and laptop devices has been irreversibly blurred. If you’re not convinced that this transition is taking place, consider this. In 2015, mobile devices became the preferred choice of device for Internet searches. It might not seem like a pretty big deal but seeing as though how recently it was that mobile devices became Internet friendly, and more than that, how rapidly smartphone technology is developing, it’s definitely a point worth noting. Such an idea didn’t just pop up out of some vacuum. The idea that a pocket-size mobile device might develop into something that’d make the need for a desktop or even a laptop redundant has been on the table for quite some time. Motorola was the first to throw a punch in the fight for the future of computing in 2011 with the Atrix; alas, the processing power of smartphones back then simply wasn’t good enough to smoothly guide the concept into a functional reality. But times have changed. Microsoft has been working towards developing a mobile phone that adapts according to the context in which you’re using it. In an onstage demonstration, Microsoft’s Joe Belifore connected his phone to a monitor, a keyboard, and a mouse. Instantly, the phone’s UI adapted to the inputs and outputs to which it was connected. This Tech Crunch article explains that while the operating interface didn’t precisely resemble the Windows 10 you’d see on a laptop or desktop, the applications did. 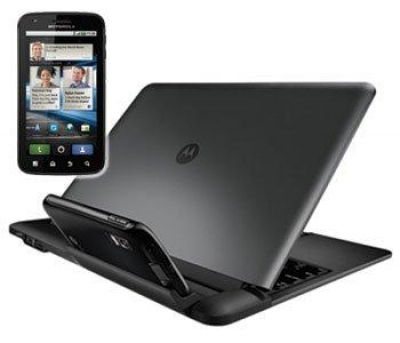 This linked up smartphone served, effectively, as a laptop computer. Although the growth of smartphones has been astounding over the past decade to say that it could replace the PC in the market right now is, well, untrue. The smartphone just isn't mature enough to take over from its big brother, the PC... yet. There are still a few hurdles standing in its way. Firstly, a smartphone would depend on a bunch of accessories, including a large tablet-esque monitor and a keyboard, to well, function as a laptop... but what if we didn't depend on traditional screens or keyboards? What if we were to think outside of the square. The idea of holographic technology or a holographic smartphone may solve this issue. As we have touched on previously, holographic technology and mobile integration isn't as far away as we may have once thought. 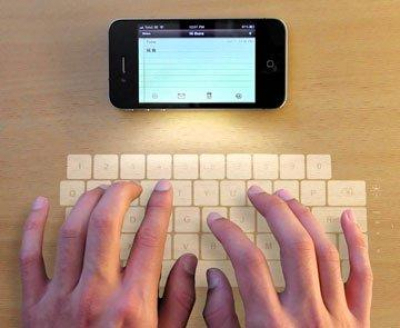 The concept of a smartphone device that projects both a screen and usable keyboard / mouse could be an innovative solution on the cards... it may just need a little more exploration. Another hurdle to consider is that smartphones still - well not yet anyway - aren’t as powerful as desktops. Not in processing power or battery power, which poses a major drawback for the transition. But this is believed to just be a temporary issue. Chipmaker ARM say that with its new chips, the Cortex-A72 processor and Mali-T880 GPU, we’ll be able to count on our smartphones to do all the tasks we currently need a computer to do. Not to mention Apple’s A8 chip in the iPhone 6 which is 50 times faster than the chip in the original iPhone (8 years of evolution) and its GPU is 84 times faster! Qualcomm’s latest, the Snapdragon 810 (which LG, HTC, and other Android device makers are planning on employing in upcoming handsets) boasts 4K video streaming and online 3-D gaming capabilities. That's as good if not better than most standard laptops and PC's on the market today. And what about battery life I hear you say? Currently, we don't have an answer for that just yet, although organisations are exploring the notion of clean energy as a solution to poor mobile battery life... but it's still in its infancy. What we can look forward to though is knowing both Google and Apple are on the case, in a competitive battle searing for the answer. With two of the biggest tech giants fighting for glory, you know a solution is just around the corner. Although the smartphone may still have a few hurdles to overcome before it replaces the PC in the mainstream market, the concept shouldn't be laughed at. Organisations both large and small need to adjust to the shift, as smartphones have a reputation for decimating products and industries with innovative solutions, solutions that ultimately change the consumer landscape forever. Just imagine what impact a smartphone device capable of PC transformation could have on the rest of the technological landscape and surrounding industries? Talk about a mobile shift... this is a revolution.